Get ready for just about the saddest story you’ll read all week. 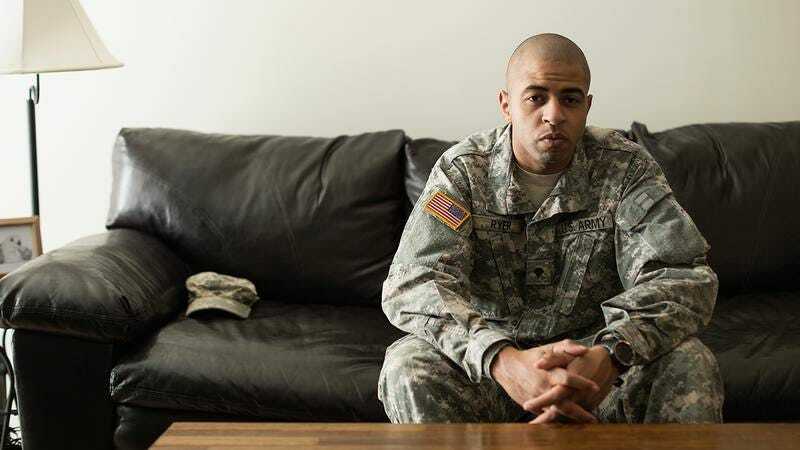 War puts an unimaginable burden on soldiers, and readjusting to life at home after serving overseas is never an easy task. But these hardships were especially tough for 24-year-old Kyle Mulholland, who returned home after five years in Afghanistan to find that his wife had started buying the weird kind of cereal. So sad. All soldiers want when they return home is some semblance of the life they left behind, but often, that just isn’t possible. Kyle found no solace when he picked up the 38-ounce supersized bag and noticed that the brand insignia at the top looked like the Kellogg’s logo in design, but instead of “Kellogg’s,” read “MealTime.” There wasn’t even a cardboard box around the bag—just a big plastic sack. Day after day, challenges piled up as Kyle tried to fulfill his duties as a husband and a father, all while adjusting to a new stage of life that looked increasingly unfamiliar to him. After just a week home, Kyle learned that his wife had been shopping at the weird grocery store down the street instead of the Safeway. What a devastating story. Kyle, we are sorry for your struggle, and we thank you for your service.